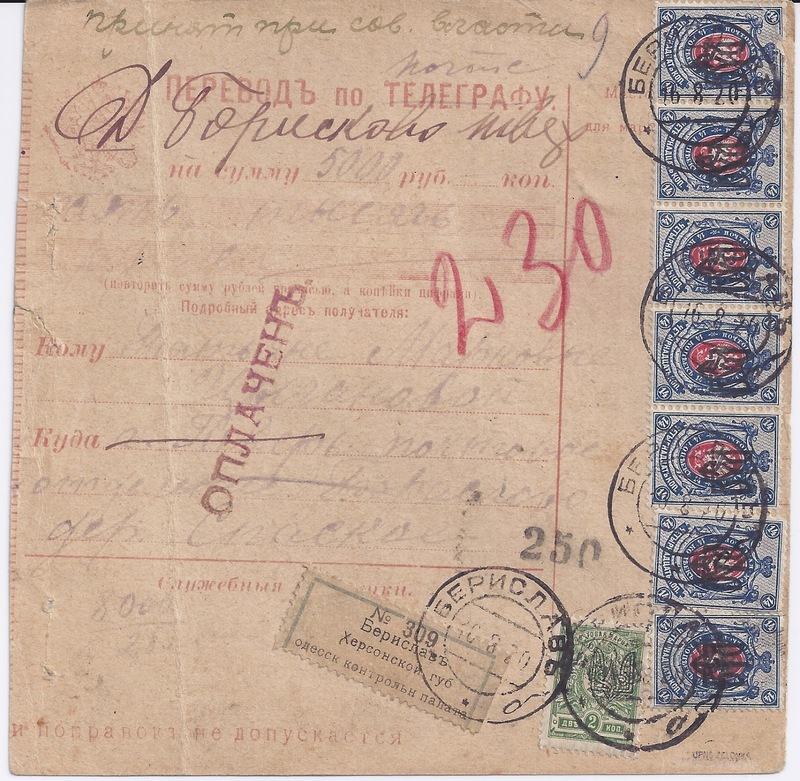 Here are two Money Transfer Forms used into Russia proper ( Samara and Tver guberniyas) from Soviet Ukraine but using Ukrainian stamps, revalued x 100 in conformity with RSFSR rules. 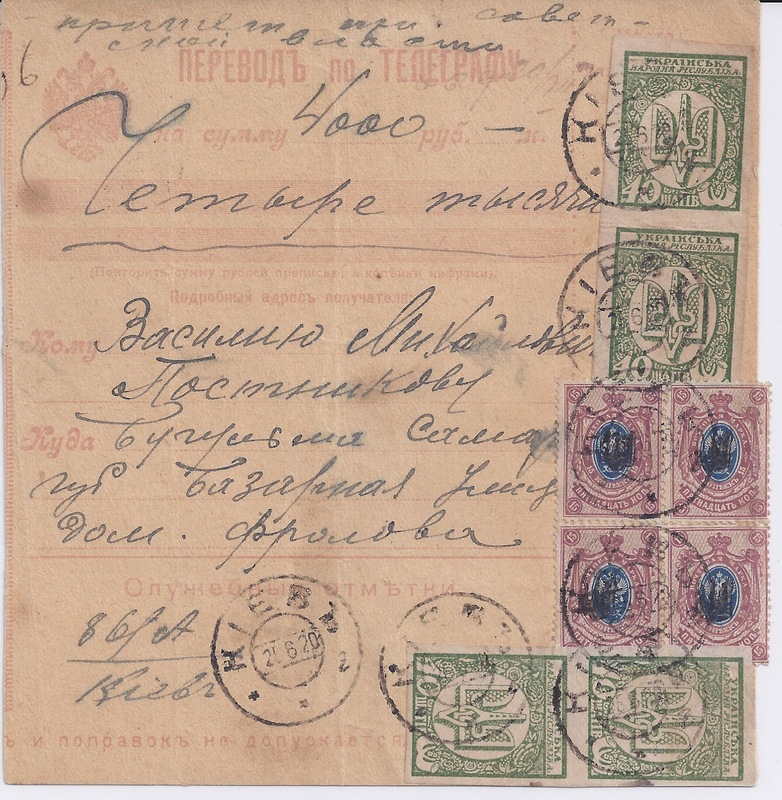 I spent some time working out that in both cases the frankings are absolutely correct at 2% in one case and 2% plus a 60 rouble premium for the Telegraphic transfer in the other. I translate these roughly to mean "Handled under Soviet power" or "Received under Soviet authority". 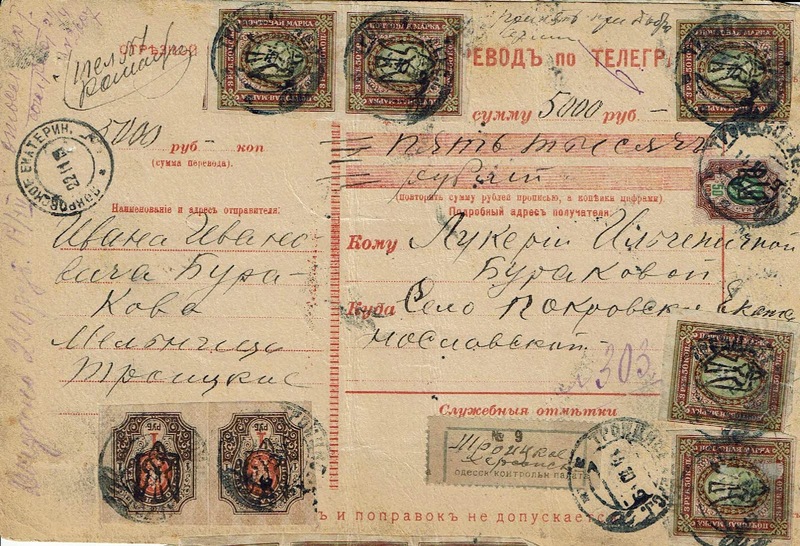 My guess is that this was done to prevent possible confusion caused by the use of Ukrainian stamps - these were transfers from one Soviet area to another, not from one country to another. Can anyone improve my translations or offer more thoughts on the markings?